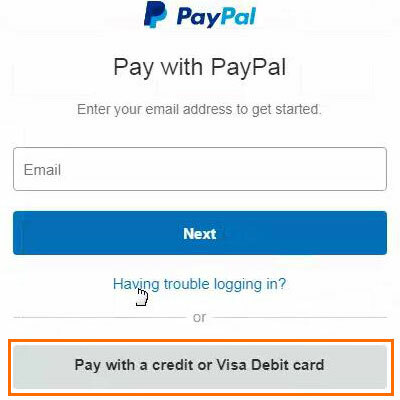 To pay with PayPal, you'll need to set up a PayPal account on the PayPal website.Through PayPal, you can pay with credit card, debit card, or connected bank account. After the redirected PayPal's page, you can click the button "Pay with a credit or Visa Debit card" when you paying the money. Then enter your credit or debit card's information and your address and "Pay Now". NOTE: Credit cards can only be tried 10 times per hour, if you have made many failed attempts, credit card would be locked for one hour. Morimiss never saves your card number and detail information. We accept payments with Wire Transfer for each order whose transaction is worth $100 or more. We also accept the three payments, and with 5% discount.